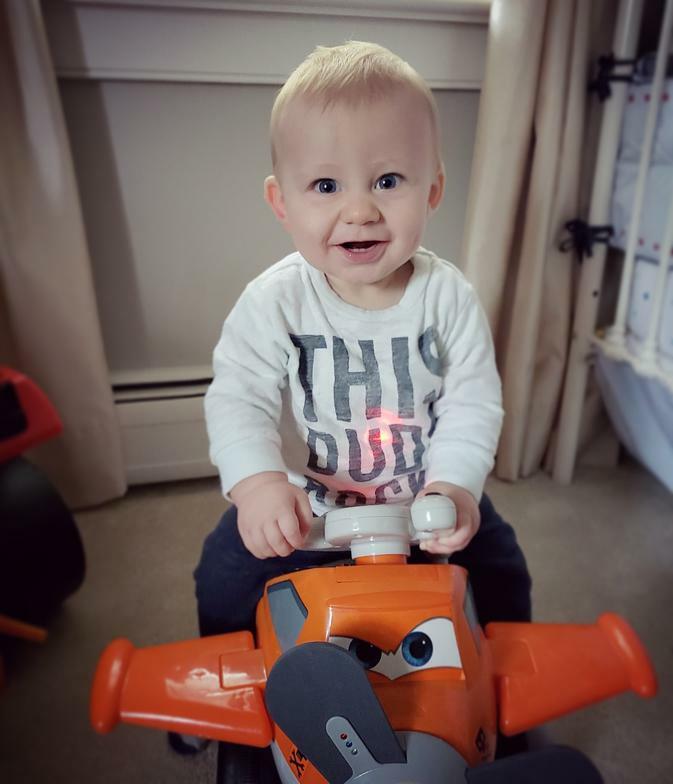 We can’t thank Debbie enough for the early physical therapy intervention she provided our son to mitigate the risks of plagiocephaly and correct his torticollis. It was amazing how just a few minutes a day with the exercises Debbie taught us, something as simple as utilizing a Boppy pillow for positions for play, and ways to carry him, could mean not needing a cranial remolding helmet. It is very clear that Debbie cares for the children she treats, and in our case, her patience and thoughtful treatment meant a world of difference! D.M. ​In November, our three year old son was diagnosed with severe Kyphosis (the spine bends forward) in which one of his vertebrae was being pinched. One of the top orthopedic surgeons in the country told us the only option was surgery which we would need to discuss in the next 6-7 months. A private search; to avoid having a steel rod inserted into our 3 year olds back; lead us to Debbie; who we found through another family which she helped with the same condition. Even though it was late in the diagnosis, she provided and guided us with a series of core and upper body play exercises. Over the next 7 months these techniques resulted in a dramatic improvement in our son’s posture, balance and mobility. In addition, we had a lot of fun in the process. Bottom line when we returned to the orthopedic specialist, no surgery needed! Our son had 21 degree improvement in the curve. HUGE!!! Debbie didn’t stop at just the physical mending of our son, she provided insight in many other areas in his development which was helpful well beyond any other healthcare professional we have come in contact. We are eternally grateful for the help she has given us and strongly recommend her to any parent whose child may need physical therapy. 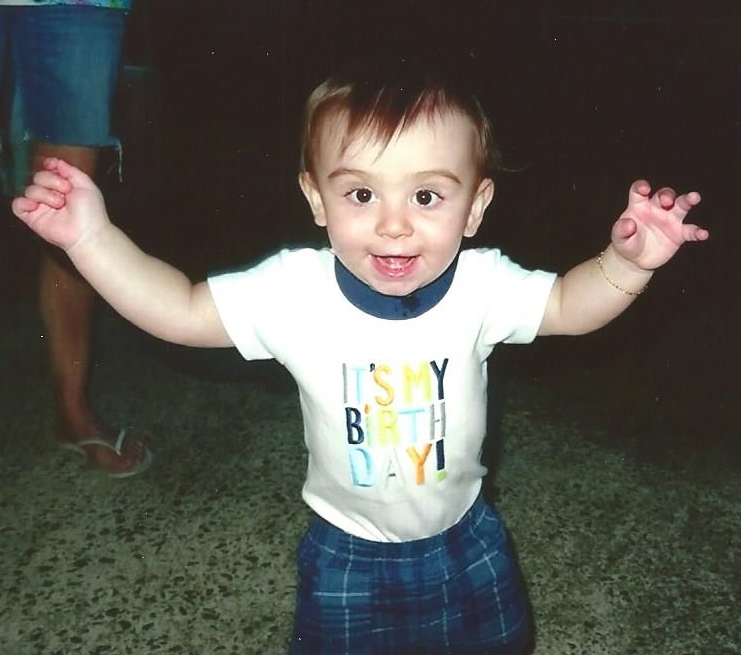 My second child, Luke, was born with Down syndrome and as a result, has low muscle tone. My pediatrician recommended I contact pediatric physical therapist, Deborah Straka-DeMarco. I knew nothing about physical therapy or Down syndrome, but I wanted the best for my baby so I called Debbie as soon as we came home from the hospital. Although I didn’t think there would be much to do with Luke being only a few days old, Debbie proved me wrong right from the start! Debbie’s first session with Luke was when he was 8 days old. I couldn’t believe how much she knew and was teaching me about my new baby. She was a calming presence to both Luke and to me. I looked forward to her visits with us every week. I wished I had had her around when my first baby was born to show me the ropes! Debbie has a gentle way about her that translates perfectly to both mother and baby. She knew precisely how much therapy Luke could tolerate in one session, and how much I could tolerate. She challenged Luke and made the most of every minute with him. Debbie was also a wonderful teacher and confidante to me. I was not a first-time mother, but I was a first-time mother to a baby with Down syndrome. There was so much I didn’t know. Whenever I struggled with an issue, Debbie made creative suggestions specific to Luke’s situation that restored my confidence and lifted my spirits. She often said to me, “Luke will do everything everyone else does. He will just do it in his own time.” This statement has proved true many times over. We owe most if not all of Luke’s early developmental milestones to Debbie’s consistent and professional intervention. She gladly celebrated each one with us too: from holding up his head to sitting unassisted to walking up and down stairs to climbing monkey bars and more! I used to joke that I never wanted to stop working with Debbie; that she would be with us until Luke graduated high school. However, after more than three years, it was obvious that Debbie’s job with us was coming to an end. Luke no longer required her services, and that was a good thing because he had mastered everything she taught him. This past summer, Luke figured out how to surf with a boogie board in the ocean, began stroke swimming and diving. He is also learning how to ride a larger bicycle. Luke still has some physical challenges, but I know that he will accomplish everything to which he sets his mind. Debbie’s early work with Luke instilled in him that he would have to work hard to reach his goals, and he does. I no longer stress about those things because I know they will come in time. I am fortunate to live in the same area as Debbie and as such, I see her out and about town. She is well-liked and respected in our community. Her reputation for caring for special-needs children precedes her. Debbie always inquires about Luke and continues to cheer him on. Occasionally I contact her for advice on advanced PT-related issues and not surprisingly, she is always ready, willing and able to offer help. I believe that Debbie enabled our whole family to feel good about our son and his special needs. I would describe her as being more than capable, caring and committed to Luke’s success and to the well-being of our entire family. We are truly blessed to have had her as a pediatric physical therapist and now as a friend. 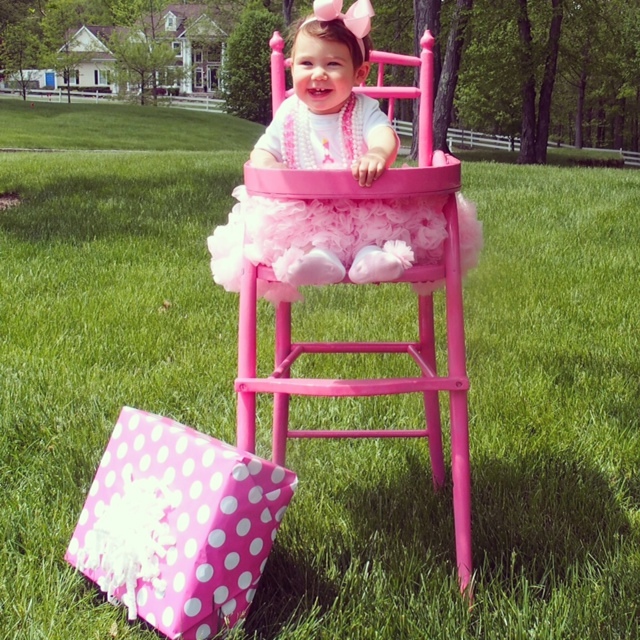 My daughter, Ariana, was about 12 weeks old, when we noticed her tendency to look to one side and a flat spot that was developing on the back of her head, so we went to the pediatrician, who directed us to the , Craniofacial Team at Morristown Medical Center. 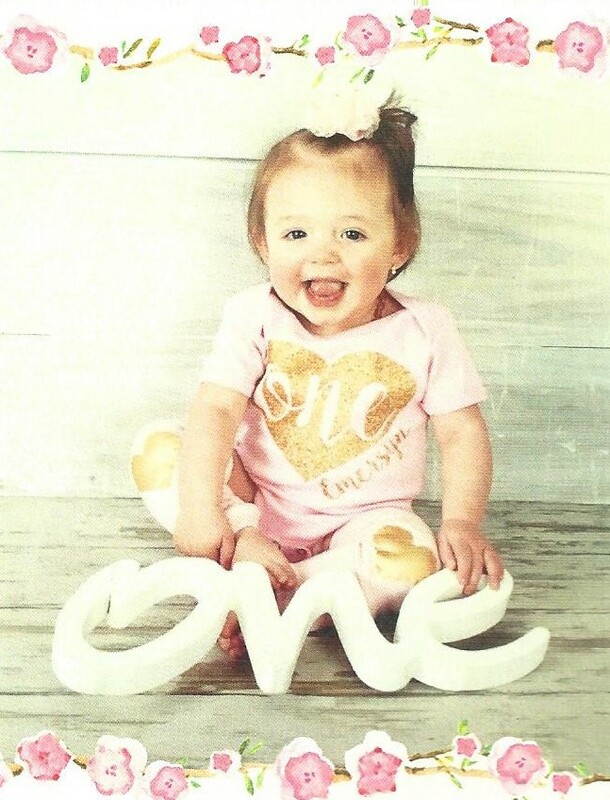 Never did I expect to hear from the doctors that she had developed plagiocephaly and strongly recommended a cranial remolding helmet due to the asymmetry with her head and ears; nor that she had tortocollis and would need to begin PT immediately. 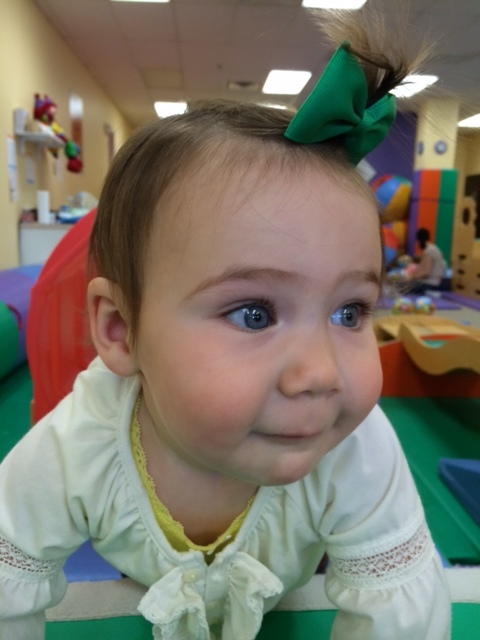 They emphasized how critically important the PT treatments would be to our daughter’s development and if we had left untreated, it could affect her motor development, visual skills, oral motor and feeding skills and facial symmetry. By the time Ariana was 5 months old, we had begun the Physical Therapy sessions with Debbie, and within 2 weeks, I immediately started to see an improvement in Ariana. Debbie is a very skilled therapist, as well as, a very warm and empathetic person. She immediately began educating us on stretching and positioning, use of tummy time and the importance of following through with home exercises. Debbie has been vigilant in helping my daughter reach those important milestones of sitting, crawling, and walking. She is detailed and thorough in her evaluations. She is attentive to our daughter's needs, and is always cognizant of our goals as parents, working with us to help her accomplish them. These are only a few of her great qualities as a physical therapist. She has become much more than a therapist for our daughter; she is a good friend and advocate for the cause. 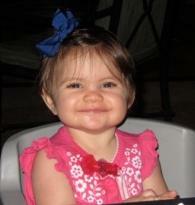 We are happy to say that Ariana’s flat spot has disappeared and there are no signs of torticollis! Our son Sean was diagnosed with low muscle tone, plagiocephaly, and torticollis after his 2ndmonth checkup. We immediately contacted Debbie to start physical therapy. Debbie is extremely knowledgeable; she pointed out that we shouldn't be using swings, limit car seat time, and place him on his tummy more often. She also showed us a way to carry him so he would use his muscles more. By the second week we saw a huge improvement, his strength was improving and he was beginning to hold his head up for longer periods of time. Debbie is a very warm, and compassionate person, this made our weekly visits a lot easier. It felt like having a personal friend with a wealth of knowledge regarding infants. Debbie has also provided me with great tips on other subjects related to physical therapy. 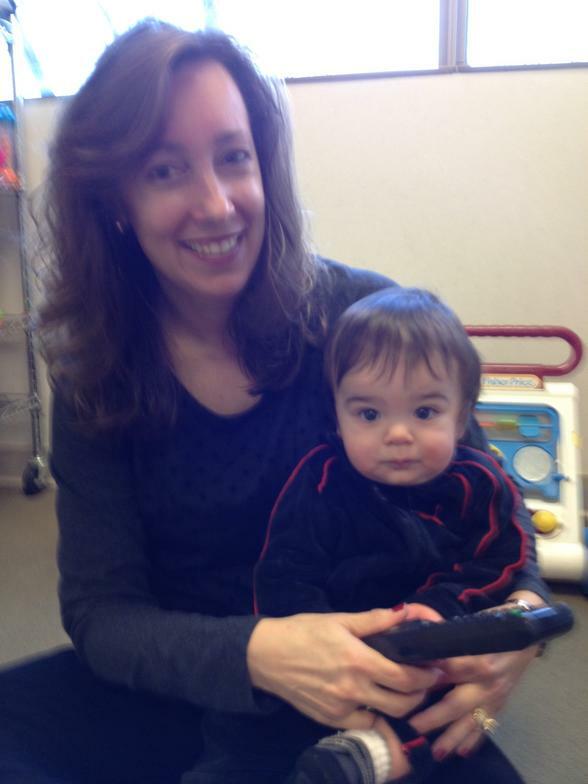 With Debbie's help, our son has met all the milestones that have been placed in front of him. He was crawling like a champ at nine months, and graduated from physical therapy at 10 months. Thank you Debbie for all your help, and keep up the good work! This is Reagan on her last day of Physical Therapy. She "graduated" from P.T. after receiving five months of intensive weekly sessions with Debbie and we are happy to report she is free and clear of any physical ailments. It's a difficult road to finding the right person to work with your 5 month old, most places said they treated children, but I wanted expertise. I was looking for someone who could fix our baby's problem, and I wasn't willing to wait on insurance dictating to me who I could see, and how many visits. My child needed this; I wasn't willing to drive up to 50 miles away (per the insurance standards). We all know what painfully broken system insurance is these days, the best decision we made was to get her the help she needed in real time. I would certainly recommend Debbie! Thank you for all you did for our daughter. Ava is really doing great! She has really caught up and we owe a lot of that to you and all your help! We will always be grateful!! L.V. Debbie provided my family with practical strategies and useful tools dealing with my daughter Melanie's torticollis and low muscle tone. Her sweet demeanor with babies is evident while the working environment is clean, bright and creative. I am thrilled with all of the progress my daughter made during the 7 month under her care and I would highly recommend this amazing therapist! C.M. 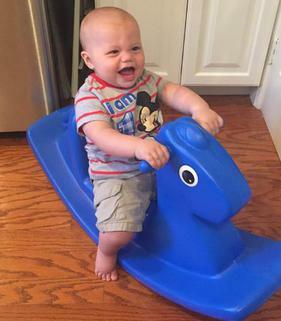 We met Debbie six months ago when our son, Christian was diagnosed with torticollis and plagiocephaly. No parent wants to hear that their baby needs special services, but immediately we were put at ease when Christian started physical therapy with Debbie. Every week there has been steady progress and improvements. He has now just finished treatment and our little boy who could not lift his head or turn his neck to the left in September is literally unstoppable, crawling everywhere, standing on his own and exploring everything. I am such a proud Mama and so thankful to Debbie for her kindness, clinical expertise and all that she has done to help Christian. Thank you for helping me be the strong girl that I am today. 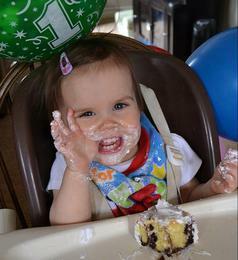 Today is my first birthday and I got to eat cake!! The day we walked into Debbie’s office (my daughter was 4 weeks old) I thought to myself that my daughter will never be able to turn her head and it was such a scary thought and a nerve-racking experience. Debbie not only eased those scared, nervous feelings in me but her way with our daughter was unbelievable. Debbie is kind, energetic, and companionate and more importantly knows her stuff. She knew so many techniques to help our daughter not only in the office, but also gave us ideas on what to do at home to assist in her progress. She made it a fun and playful environment for her, who loved to go and “play.” She has progressed so far that when I look back at pictures I still can’t believe it. Debbie is a lifesaver for us and I would recommend her to everyone who needs therapy. K.M. 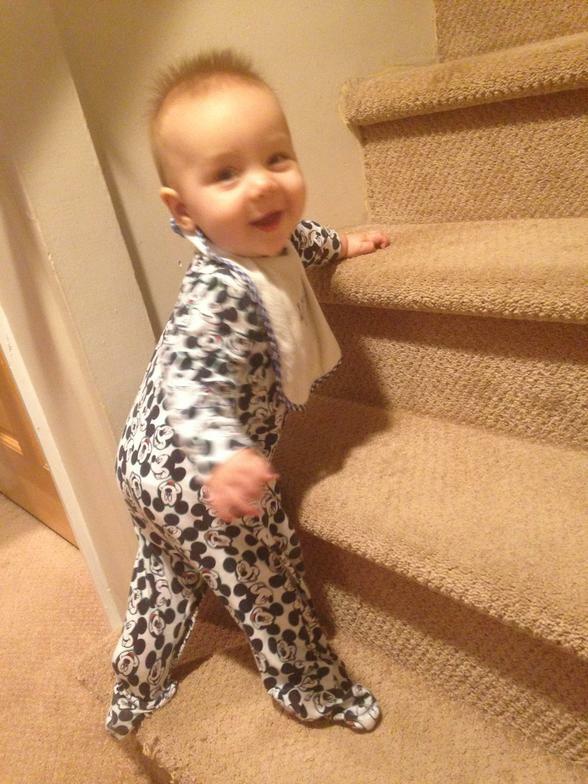 Someone is pulling himself up on everything and has now learned how to climb the stairs- Thank you Debbie ! M.V. We would like to let you know how THANKFUL we are to have you as M's physical therapist. You will be forever in our hearts. You helped M. become the little boy he was always meant to be. We want to thank you for caring for our son; giving him 110% attention! We are eternally grateful for meeting you. Thank you so much Debbie. From the bottom of our hearts, we want to say THANK YOU for the amazing work you did with M over the past 4 months. You are a blessing to him we are so grateful that we found your healing hands. Your gift with children has given us a new beginning and we will miss you so much. With love, M & M"
"H" is crawling, climbing the stairs, and shuttling across furniture. We owe you a world of thanks with our girls- you are wonderful!! Dear Debbie, Thank you so much for all you have done for L. I don't know where we would be without you! You have helped L. improve 100,000 percent!! I can't put into words how much we appreciate you. We will miss seeing you, but we ae so happy to call you a friend! Thank you so much for everything! Love, A. & L.